We come up with these cocktails…and then spend all kindsa time thinking up fancy names for them. My husband suggested this one be called The Spicy Sailor, because it involves jalapeños and rum. A saucy name, to be sure, but none of you are going to know to search for it, and so I’m always stuck with boring names that say exactly what’s in the cocktails. Sparkling Pineapple Cocktail. Warm Tea Cocktail. Sparkling Bourbon Cocktail. It’s not that I lack imagination…I just want them to be easy to find. And so today, I give you The Mango Jalapeño Cocktail. But you can call it The Spicy Sailor if you want to. 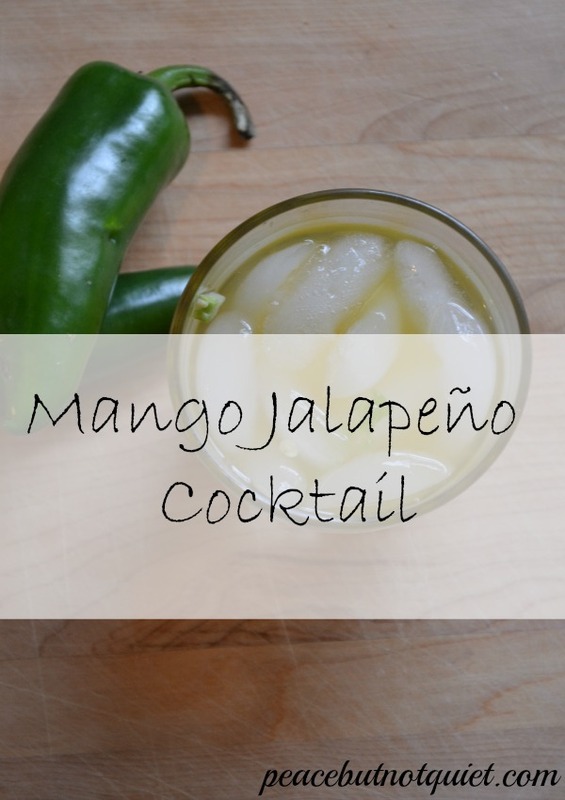 Although it’s made with rum, rather than tequila, I still say it would be a great Cinco de Mayo drink, because of the jalapeños and mangoes. And you can adjust the heat factor — if you want it mild, seed your jalapeños before adding them. If you want it spicier, keep the seeds in. Check out the Mason Jar Margaritas to try for Cinco de Mayo as well — ¡Salud! 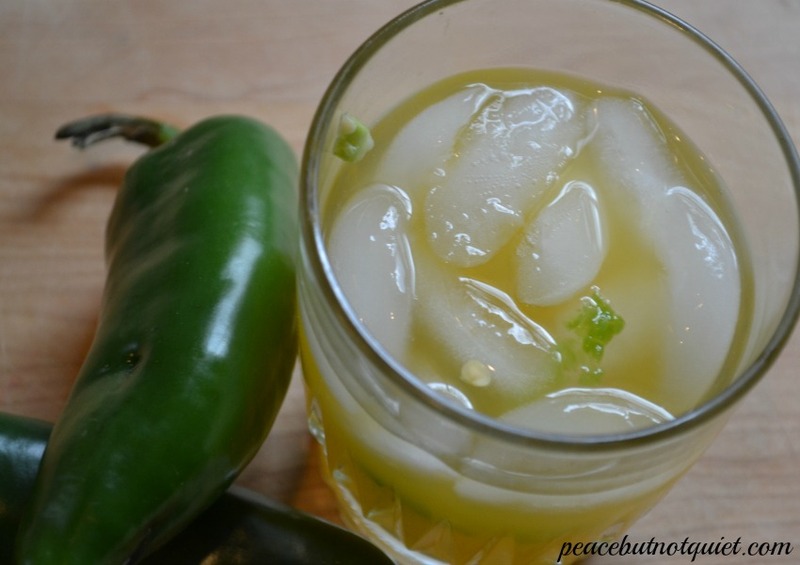 Place the diced jalapeño in an Old Fashioned (or lowball) glass and muddle. Add one shot of rum and 1/2 c mango nectar (or until glass is full).